The programme offers each year a selection of up to 40 international postgraduate students a demanding and versatile curriculum that opens fascinating career paths in European and international legal affairs. The programme has for more than 45 years been successful in combining academic rigor with the latest practical insights and cultural diversity. International audits and the leading positions of its graduates in various international organizations attest to the programme's excellence. The IES is a thriving Jean Monnet Center of Excellence in European Studies, located from February 2011 onwards in brand new facilities at the Vrije Universiteit Brussel (VUB). The students join the international staff at the IES, which comprises more than 100 people from over 25 nationalities, over 20 of whom are doctoral researchers in international and EU affairs. The extended family of the IES also includes the 40 post-graduate students of the IES’s sister programme, the Advanced Master in European Integration). In addition, the students are linked to the staff and students of the programme’s co-organisers, the Law faculty of the VUB. 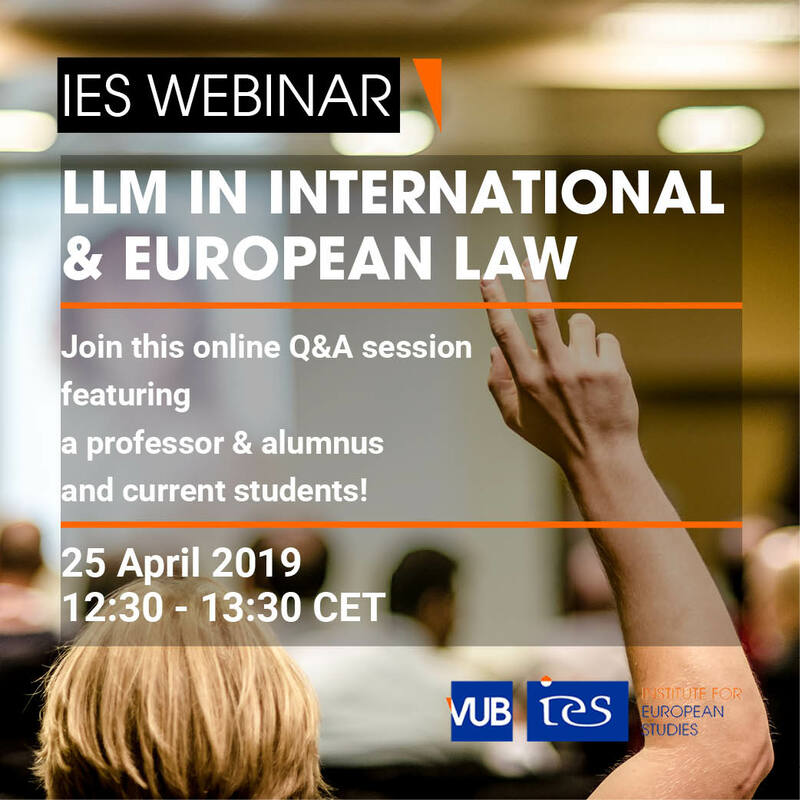 The location of the IES at the VUB in Brussels gives the programme the opportunity to benefit from the immediate vicinity of EU institutions and numerous international organizations, law firms and companies during the course of the year. The educational techniques of the programme include, in addition to the more traditional forms of lecturing, interactive class teaching as well as practical case studies that simulate day to day professional life. The programme offers a balanced, versatile package. Click here for more information on admission requirements. The teaching staff is a unique mixture of renowned EU scholars, top-level EU practitioners and practicing lawyers that combine academic rigor with the latest practical insights and cultural diversity. Visit our website for details on how to apply. The programme offers a number of scholarships that take the form of a reduced tuition fee. These are awarded on the basis of academic merit and financial need. Waiver applications for the academic year 2019-20 should be submitted by 15 April 2019 at the latest. Our students are offered personalized coaching and career advice at the VUB Career Centre. Clients of the VUB Career Centre include major law firms, the European Commission, the European Parliament, European Agencies, and consultancies. We have over 1250 highly successful alumni who are now working in international institutions such as the European Union, the World Trade Organization, the International Monetary Fund, the United Nations and the Organization for Economic Cooperation and Development, in national administrations, diplomatic services, the judiciary, as well as in major law firms, corporations and NGOs. Here are some examples!